New Arrivals for THURSDAY APRIL 25, 2019…. GERMAN ARMY 1939 S/42 CODE P.08 LUGER PISTOL......SCARCE VARIATION.....MINT CRISP!!! 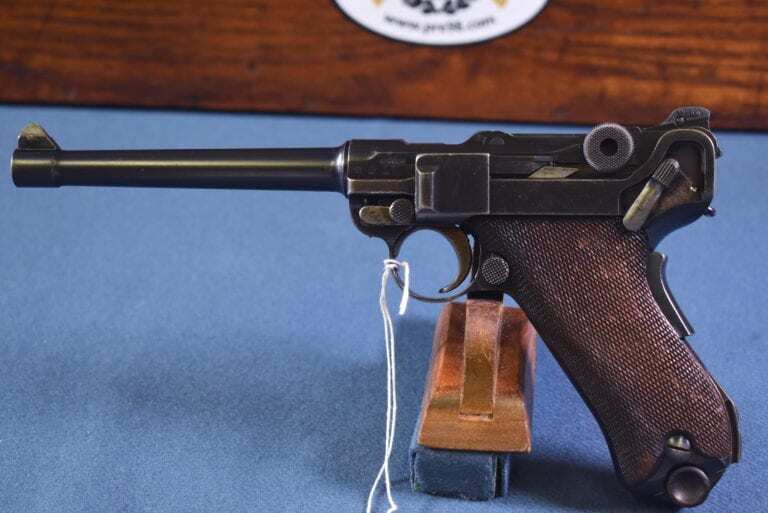 FRENCH Mle 1935A NAZI ISSUED PISTOL..WaA251 WAFFENAMT….VERY CRISP! 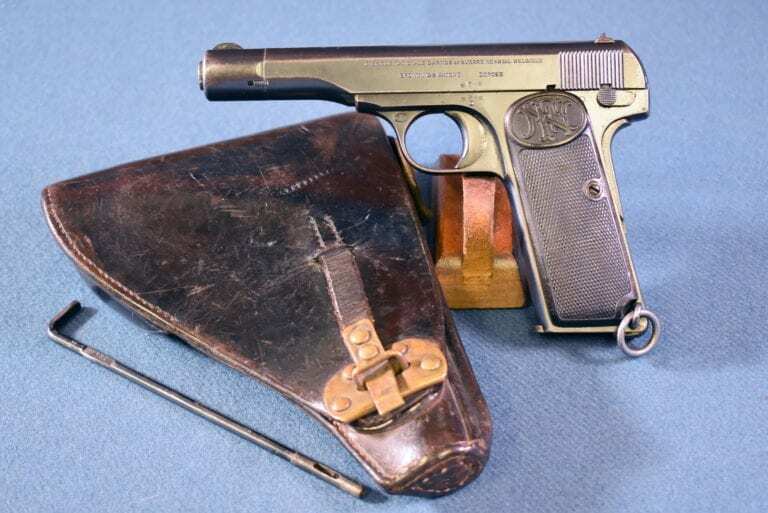 GERMAN WW2 ARMY FIELD SURGEON NAMED WALTHER PPK RIG.....MINT CRISP WITH RARE LEADING EDGE AKAH HOLSTER!!! 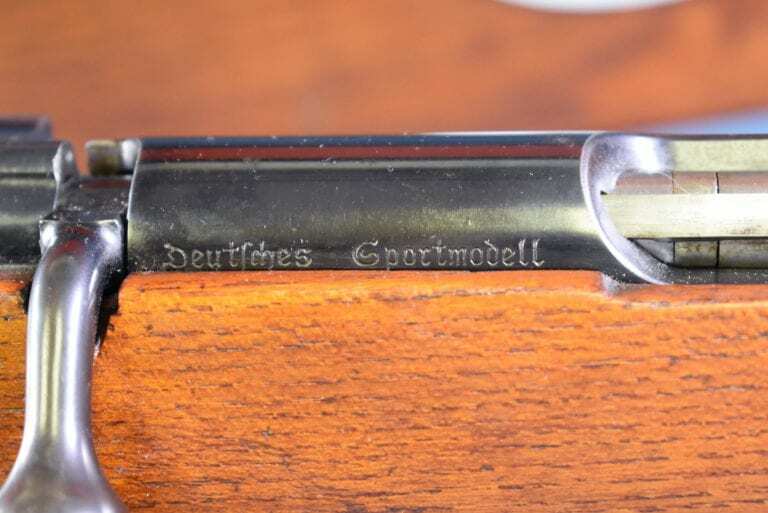 EARLY NAZI ViZ35 RADOM PISTOL.......B BLOCK SLOTTED........WITH MATCHING PRE-WAR POLISH BARREL.......MINT SHARP!!! 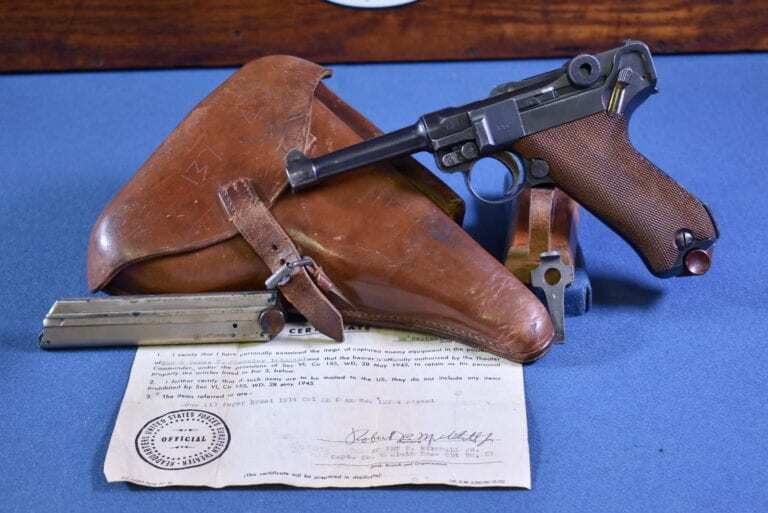 JAPANESE TYPE 14 NAMBU PISTOL….NAGOYA NAMBU JAN, 1936 PRODUCTION……. STILL WITH THE MATCHING MAG! Welcome to Pre98.com! 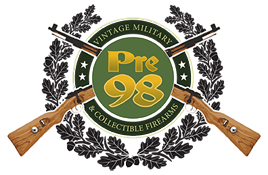 Widely Recognized by the collecting community as one of the largest and most highly regarded vintage military firearm dealers in the country. We have a well known reputation for selling only the finest examples of rare, desirable, and mint condition Collectable Firearms, as well as crisp original holsters, focusing on serving the serious and advanced collector. We take great pride in our highly regarded reputation for having a great eye, and working in close collaboration with all of our clients through honesty, integrity and knowledge to improve their holdings. At the core of our business is the philosophy, that you enjoy this endeavor as an escape from life’s daily struggles, and we strive to make our dealings as pleasant, and rewarding for you, as we possibly can. 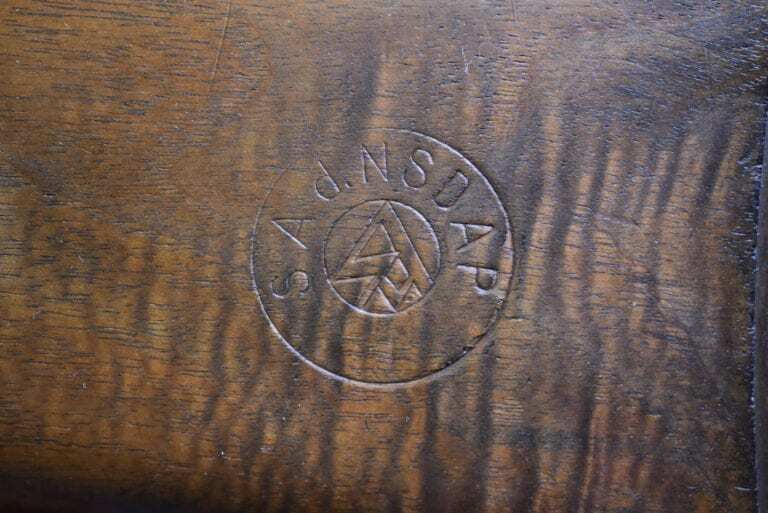 We are all mutually fascinated by the history, and romance of collecting military Firearms and the responsibility of being care takers of what amounts to 20th century industrial art at its finest. Our site will give you exclusive access to our extensive and well curated inventory of firearms and accessories, which is updated daily with new and captivating items. We attend approximately 35 military/gun shows a year across the United States, allowing us to gather the most desirable artifacts, and we also utilize our vast network of knowledgeable collectors, buyers, and dealers who supply us with an endless stream of fantastic finds. Let our 28 years of experience work to help you with all of your collecting needs, or perhaps aid you in the sale of a family treasure. Most of our business is conducted with Curio & Relics (C&R) licensees, we also do FFL transfers and of course we are pleased to offer direct sales for Virginia residents. When you find that special firearm or artifact that you’ve been looking for, we will work with you to make the buying process as seamless as possible, while assisting you in complying with all applicable firearms regulations in your state. We are based in Winchester, Virginia; we welcome you to visit at our office, Tuesday through Thursday. Calling ahead to schedule a visit is strongly encouraged. At Pre98 Antiques, we take pride in our superior customer service and guarantee the authenticity of each item, and the accuracy of its description. We will always do our best to assure a pleasant and mutually beneficial relationship with you. If you are searching for something that may not be in our inventory, or if you have items you are no longer interested in keeping, please contact Scott Benedict at 703-628-5862, email Pre98@aol.com, or Brett Inman at 919-633-0031, email Brett@pre98.com. We hope you visit our site often, and please make sure that you share this site with your friends as well! Also, be the first to know about what we have acquired, by following us on the social media sites, Facebook, Twitter, and Instagram, under Pre98 Antiques.